Rebecca Mann is a partner at Gunderson Palmer Nelson Ashmore LLP, licensed to practice in South Dakota, North Dakota and Montana. 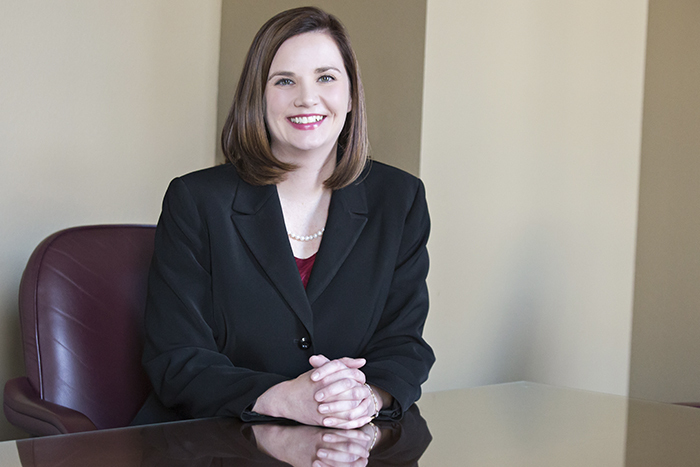 She specializes in Workers’ Compensation, Insurance Defense and Civil Rights/Governmental Tort Liability. Rebecca routinely practices in both state and federal courts as well as administrative tribunals. She is a talented appellate lawyer having argued before the South Dakota Supreme Court and Eighth Circuit Court of Appeal. A fearsome advocate with a compassionate heart, Rebecca is smart, civil and gets along winningly with her peers, staff and opposing counsel. A natural mentor for new associates, Rebecca provides meaningful solutions with her trademark generosity and humor. A native of Spearfish, Rebecca initially planned a career in accounting. She graduated from Black Hills State University (2004, BS in Business Administration) and then switched to law, graduating from University of South Dakota School of Law with her JD in 2008. She interned at GPNA while in law school. Rebecca is involved in various South Dakota State bar activities and a board member of the South Dakota Defense Lawyers Association. She is BV Distinguished with Martindale Hubbell and a Super Lawyers’ Rising Star for 2015-2018. She and her husband Jason have a son (Remington, 9) and daughter (Rachel, 6). The family enjoys camping, weekends at the lake and attending the kids’ sporting events. Fun-loving, with a quick wit, Rebecca is attempting to perfect her golf game and avidly roots for the Denver Broncos. Rebecca is a superhero at multitasking; while managing a successful legal practice and happy family life, she also donates her time to several volunteer organizations and is the vice president for Community Health Center of the Black Hills. Construction is a diverse, complex and multibillion-dollar industry. Gunderson Palmer attorneys have years of experience representing both employers and employees in workers’ compensation actions.